Use Nmap to find open ports on Internet facing systems with this online port scanner. Test servers, firewalls and network perimeters with Nmap Online providing the most accurate port status of a systems Internet footprint. It is simply the easiest way to perform an external port scan. Free Port Scan to check any IP address and test 10 common TCP ports with Nmap version detection (-sV) enabled. Once you see how easy it is grab a membership and get immediate full access. 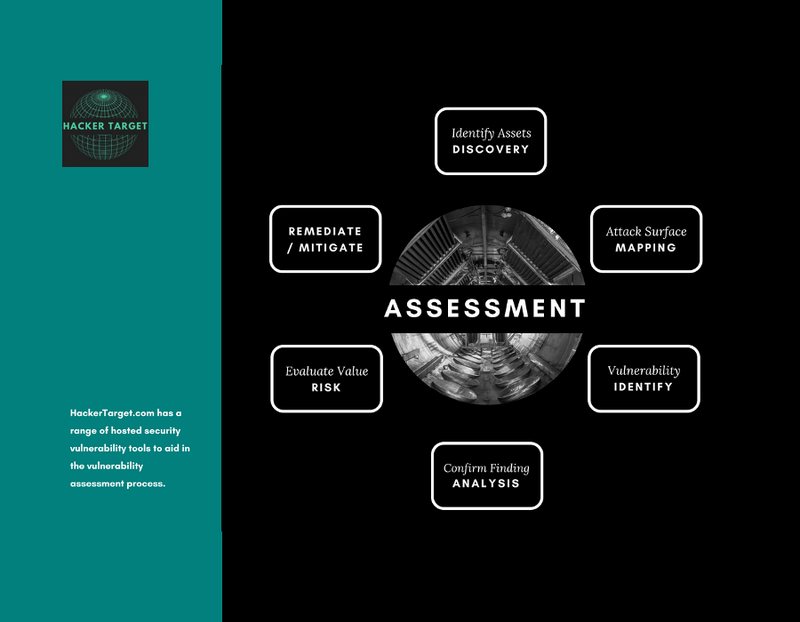 Understanding the results from the online Nmap scan will reveal whether a firewall is present. 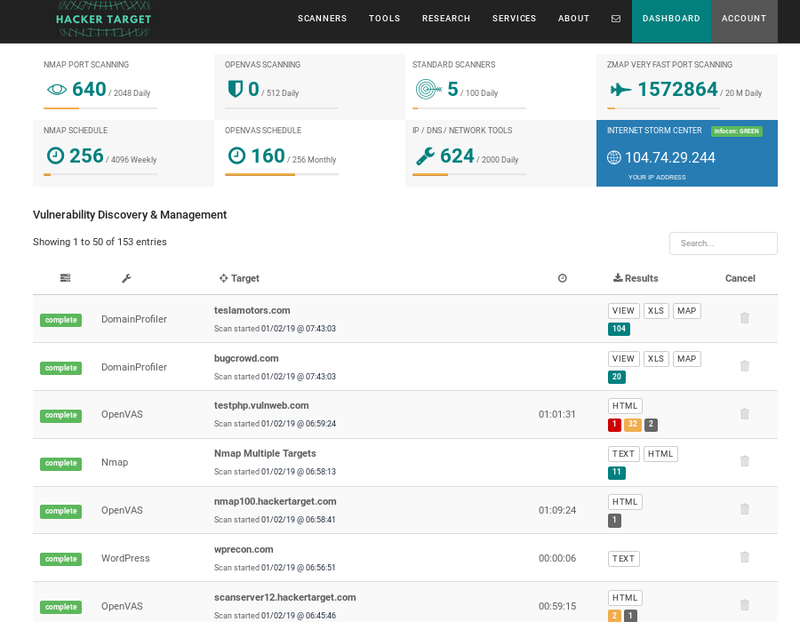 The shodan.io search engine finds millions of poorly configured firewalls on a daily basis. 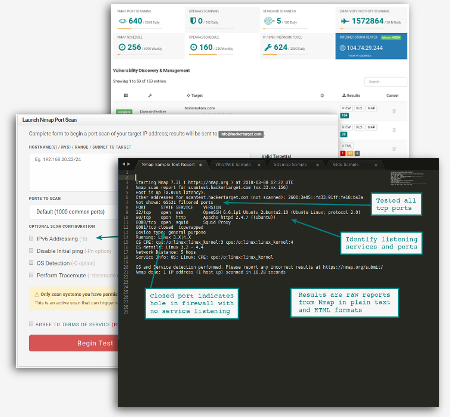 Launch remote scans against your infrastructure to test that your security monitoring is working as expected. Review firewall logging and Intrusion Detection System alerts. In 2016 thousands of MongoDB databases were compromised and data leaked due to the server being configured to listen on the Internet facing Interface. Using an online port scanner it is possible to quickly identify a host firewall with holes or services poorly configured. When your firewall rule base changes require change board approval. A scheduled Nmap Port Scan can quickly determine firewall changes that have not been through the change approval process. As IPv6 gets deployed it is important to understand whether the IPv6 interface has the same level of protection as the existing IPv4 addresses. Many virtual servers (VPS) are deployed with IPv6 enabled by default. Have you checked yours? Your getting pushed to roll out the new service. The network guys are saying its not their problem, and the firewall administrator is pointing the finger at the developers. Sometimes you just need to know if the port is open and listening. Enter a public IP address or hostname that is accessible from an external Internet facing perspective. You must have permission to scan the target. 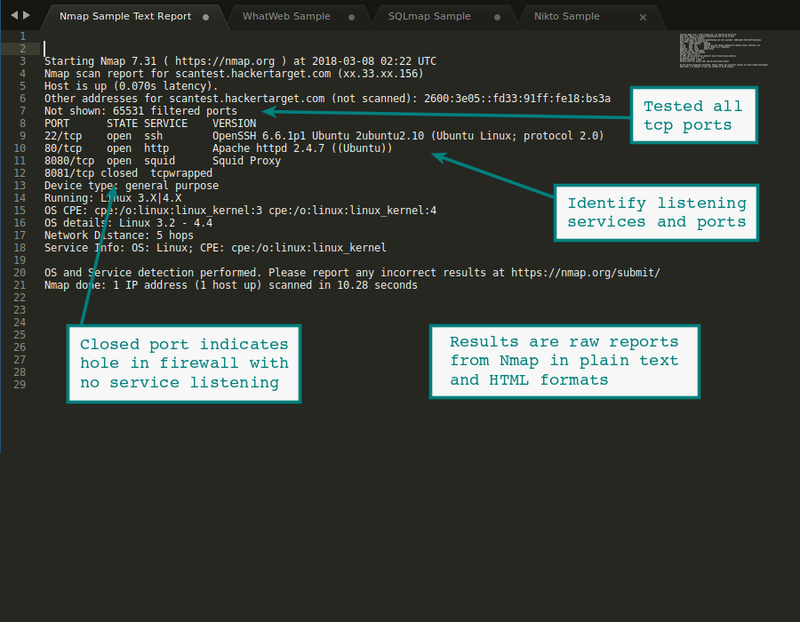 Online Nmap port scans can also be performed against a list of valid target addresses; simply include the targets comma separated or as a list with line breaks. 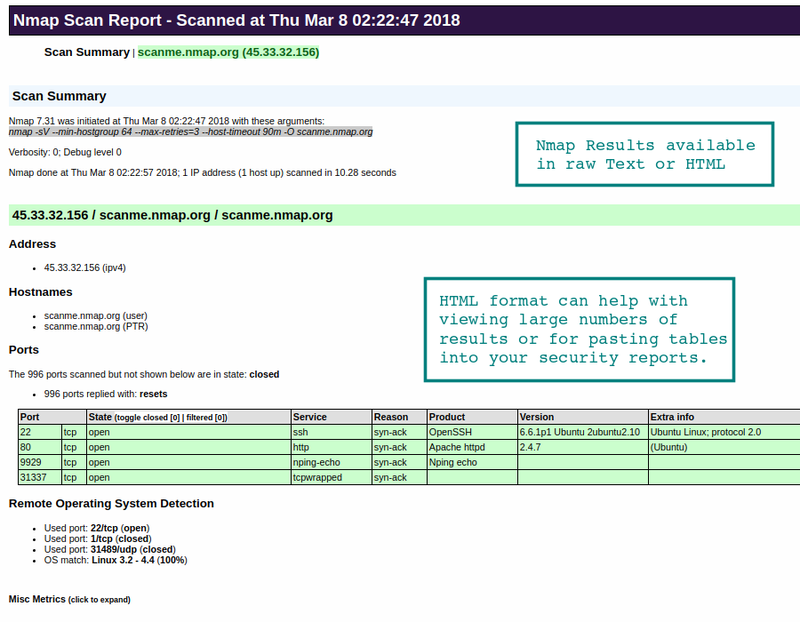 By selecting the Combine Report option members can elect to receive a single report which includes a summary table of the multiple NMAP targets requested, and the full results all presented in a single file. 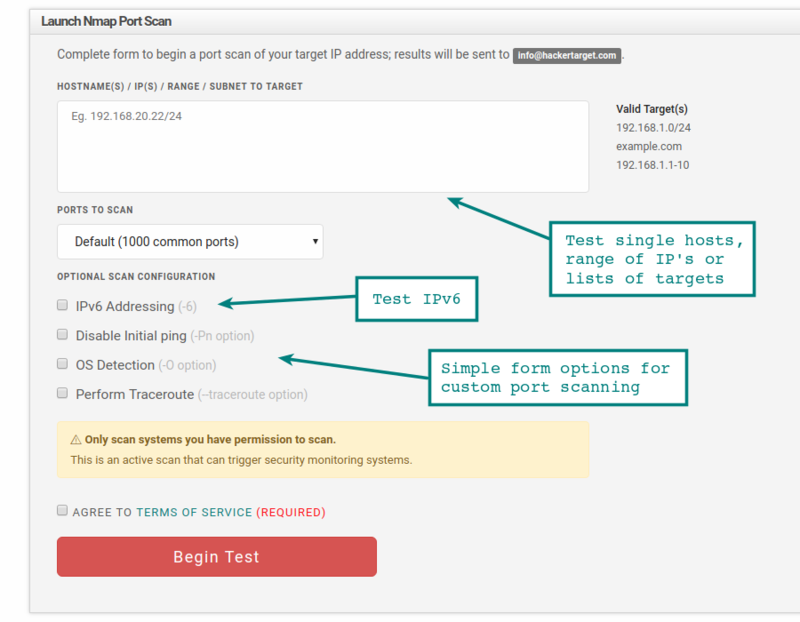 Select the port option based on standard Nmap options; Default, Fast scan (-F) or Scan All 65535 ports on an IP Address. Scanning all ports is the most accurate way to discover every listening service. A full scan with all ports is required for a comprehensive test of a firewall configuration. Note that a full scan can take from 20 minutes to a couple of hours depending on the network. Also available is scanning of common UDP ports, as well a custom port configuration option where you may select a subset of specific ports (udp or tcp). Actual scan times will vary greatly depending on the target network and number of ports being scanned. Nmap results are delivered to your registered email address once the port scan is completed. Results are also available in the Members Dashboard for download. The default settings will perform the port scan using a TCP SYN based test. This is a standard Nmap port scan (-sS) with version detection enabled (nmap -sV). Any other selected optional parameters will be included. The results are emailed to the users registered email address. Scan results are available as plain text and HTML formats. Nmap is a network port scanner that tests network connectivity between different hosts and services. Firewalls, Router ACL’s and other factors can impact a network based connection. Initially Nmap was a simple but powerful tool that enabled the scanning of networks or individual hosts to determine if there were services running and if a firewall was present. Modern versions of Nmap have extended capability to include a built in scripting language (NSE) that can perform a multitude of additional checks against any services found to be open. This ever growing list of scripts has pushed Nmap into the realms of a fast light weight vulnerability scanner. Download Nmap today from insecure.org, it is available in versions for Windows (XP, 2003, 2008) and Linux / FreeBSD. Zenmap is a graphical front end for those not comfortable on the command line. When installing Nmap I encourage you to download from the source as it is constantly being improved and built upon. Linux distributions will not always have the latest version in the package repository.